Earlier this year, we gave away a free car sticker to many of our Facebook/Twitter fans. We are now giving 25 away to our Facebook fans for Liking and Sharing our post. An image of the sticker is shown at the bottom of the article. The sticker is 12 X 3 and sticks on the inside of a car window. The sticker has a black background and golden letters. You must be a Facebook Fan of our website. You can sign up as a fan by visiting the Indian Foods Guide.com Facebook Fan page and joining as a fan. Click on the "Like" Button when we post a message about this giveaway. We will post about 1 message a week. You will get 1 entry for every time you click Like on our posts. We would greatly appreciate it if you would help spread the message (by sharing this link with your friends) and get others to sign up as fans too. We will announce more giveaways, such as cookbooks, dinners etc as we hit new milestones. 1. The contest is open to everyone no matter where you live. 2. The contest will be open till the 15th of September, 2012. 3. We will announce the winners after the 15th of September, 2012. If the winner does not want the prize, we will pick another winner. The winners are responsible for any customs duty applicable in their country. We will send the prize by regular post. Please do not ask us to courier the prizes. Please send us your mailing address via Facebook message or use the contact us form and mention your Facebook profile name so we can match it. Earlier this year, we gave away a free car sticker to many of our Facebook fans. We are now giving upto 50 away to our Twitter followers and anyone who follows us. An image of the sticker is shown at the bottom of the article. The sticker is 12 X 3 and sticks on the inside of a car window. The sticker has a black background and golden letters. You need to follow us on Twitter and retweet the message about this giveaway to your followers. 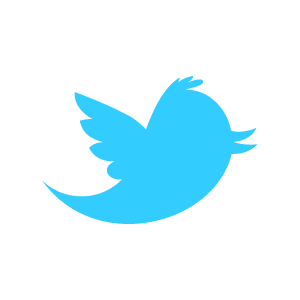 If you are already an existing follower, retweeting our message to your followers or tweeting a message "#FF @indianfoodguide" will get you an entry. We will contact you via Twitter's Direct Message to get your address and the number of stickers you want (not more than 2). We will mail them out shortly. Please request the sticker only if you are really going to stick it on you car. We would greatly appreciate it if you would help spread the message (by sharing this link with your friends) and get others to follow us too. We will announce more giveaways, such as cookbooks, dinners etc as we hit new milestones so help us get to those milestones. Thanks to all our fans who helped us cross 4000 fans and get us close to the 5000 fan mark. 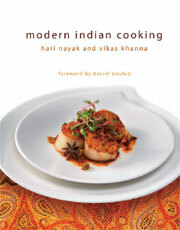 To celebrate that upcoming mark, we are giving away 1 autographed copy of Hari Nayak's Modern Indian Cooking book. The book is a collection of easy to prepare contemporary Indian recipes created for the modern living and entertaining. The recipes are very approachable which explores how wide world of Indian cuisine has fused into other cuisines around the world. The food has an international twist on the traditional flavors of Indian food. 2. The contest will be open till the 15th of April, 2012. 3. We will announce the winners after the 15th of April, 2012. If the winner does not want the prize, we will pick another winner. The winners are responsible for any customs duty applicable in their country. We will send the prize by regular post. We had a year end goal of getting to 3000 Fans mark. With a little over 50 days left in the year, we need another 100 fans to reach that goal. Its going to be a close finish but we know we can get there with some help from our fans. 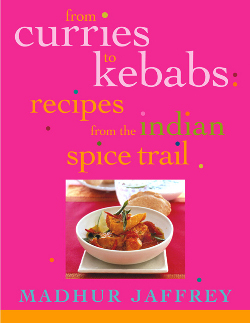 To celebrate the milestone, we are giving away a copy of Madhur Jaffrey's From Curries to Kebabs. Madhur Jaffrey was a popular Indian actress who also had cooking shows on TV in England and is the author of many cookbooks. You must click the "Like" button on any post related to this contest. You will get an entry for each time you click the "Like" button. 2. The contest will be open till the 15th January, 2012. 3. We will announce the winners after the 15th January, 2012. If the winner does not want the prize, we will pick another winner. The winner is responsible for any customs duty applicable in their country. We will send the prize by regular post.